Ha ha, you fell for it, didn’t you? I can’t believe you took me seriously. “Zombies On A Plane.” How could you believe that? …..Actually, I wasn’t joking. The news was broken this morning by Entertainment Weekly. Just so you don’t start hyperventilating into a paper bag, it’s not entirely what you think. 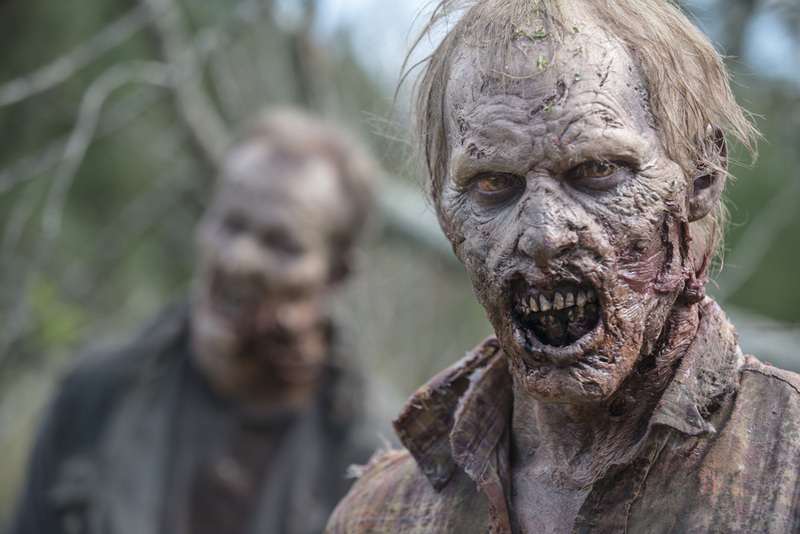 It’s a stand-alone half-hour special that will be released in pieces, first online and then gradually during the premiere broadcasts of The Walking Dead Season 6. Set during the time of Fear The Walking Dead, this yet-untitled special (though I think we’ve all agreed to call it “Zombies On A Plane”) concerns the hapless passengers of a midair flight that suddenly gets….well….bitey. And with the way they cram people into tight seats nearly on top of each other in today’s airplane industry, there won’t be much of a chance for survival. Whoever DOES survive this predicament will be rewarded: they’ll get to join the cast of Fear The Walking Dead’s second season. The exact time for the online debut of this extra chapter has not been revealed yet, but the TV debut will happen during The Walking Dead’s Season 6 premiere on October 11.